In Rhode Island, authorities are searching for a Brown University student who has been missing for over a week: Sunil Tripathi: Search for Missing Ivy League Student Expands Across Northeast. 22-year-old Sunil Tripathi, a philosophy major, was last seen in the Brown campus area on the morning of March 16. He reportedly left his apartment alone without his wallet and cellphone, and left his bicycle behind. The search has focused in the past week on hospitals, stores, parks and other public spaces where Tripathi could be, but authorities have found no signs of him. 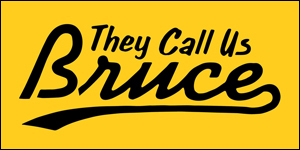 The search, which has been spearheaded by the Providence Police Department and the Brown University Department of Public Safety, has now expanded to Boston, Connecticut, New York and Philadelphia, according to a statement from the school. The FBI has joined the search. More here: Few clues in search for missing Brown University student. Sunil Tripathi was wearing blue jeans, a black Eastern Mountain Sports ski jacket, glasses, and a Philadelphia Eagles wool hat on March 16. He is about 6 feet tall, 130 pounds and has short dark hair. Anyone with information about his possible whereabouts is asked to call the Providence police at (401) 243-6191. Here's also a Facebook page with further search information: Help Us Find Sunil Tripathi. 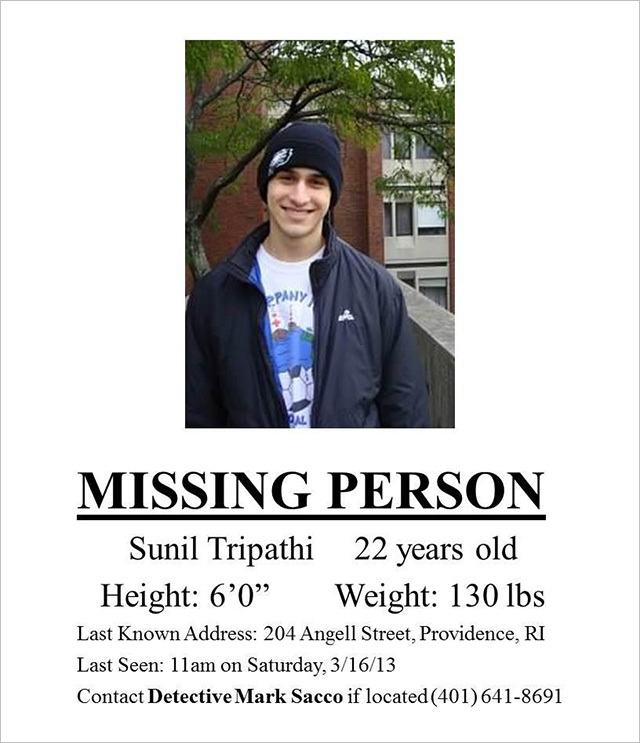 UPDATE: Sunil Tripathi's family is appearling to businesses in the Providence area to turn over surveillance video footage that might help them track his movements before he disappeared: Sunil Tripathi Missing: Brown University student's family seeks security videos.